Fall always makes me want to bake, but sometimes my motivation isn’t quite enough to see me through a huge, complicated baking project. 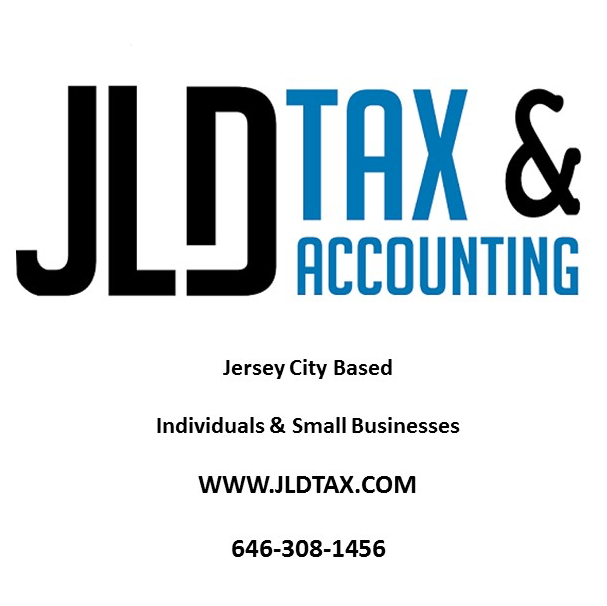 With all the fun fall activities to do locally, I’m looking for quick recipes that don’t require too much time so that I can head back out again. One of my favorite techniques for quick baking is to take a premade mix and make it my own by adding or changing some ingredients. 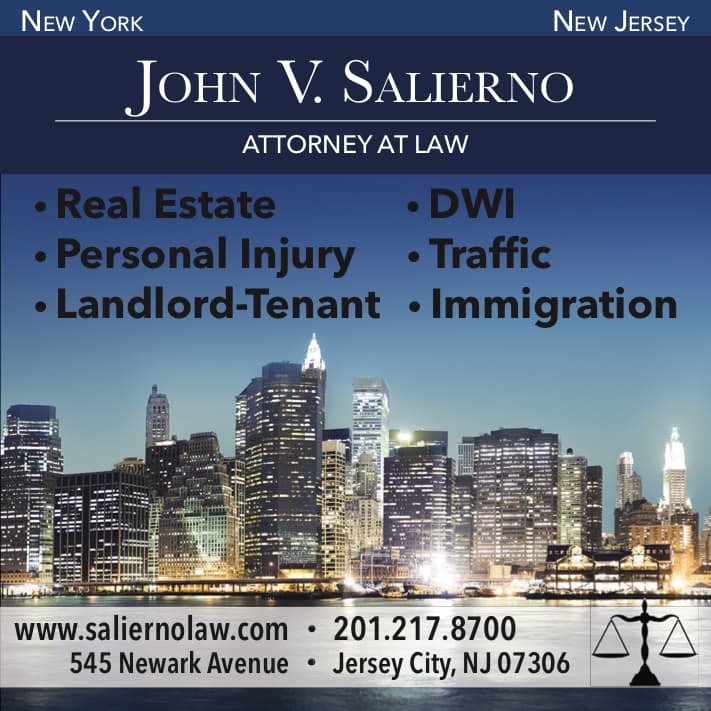 For this recipe, I was inspired by a delicious pumpkin muffin I ate at 9 Bar Cafe, my favorite coffee shop in JC. On a recent visit, the muffin was the perfect fall-themed accompaniment to my cappuccino. 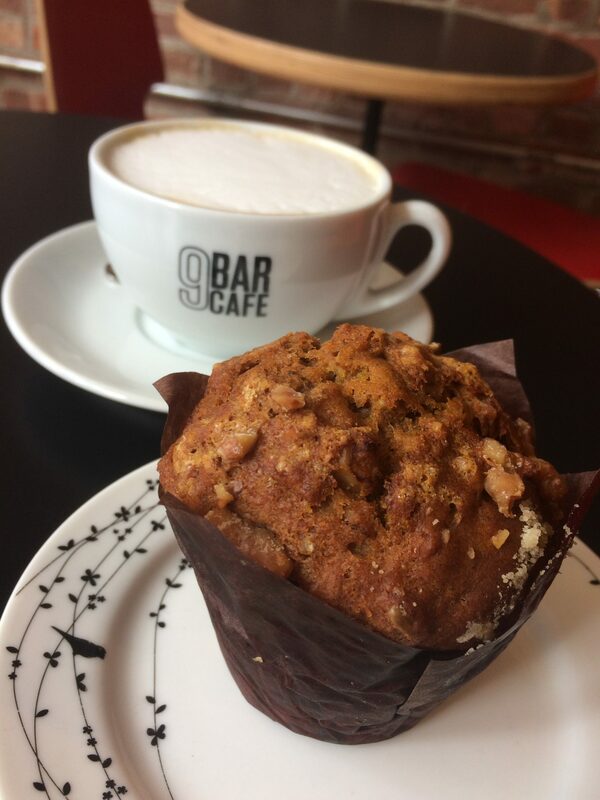 I love 9 Bar because of the excellent coffee and the fact that there is always something new to taste. 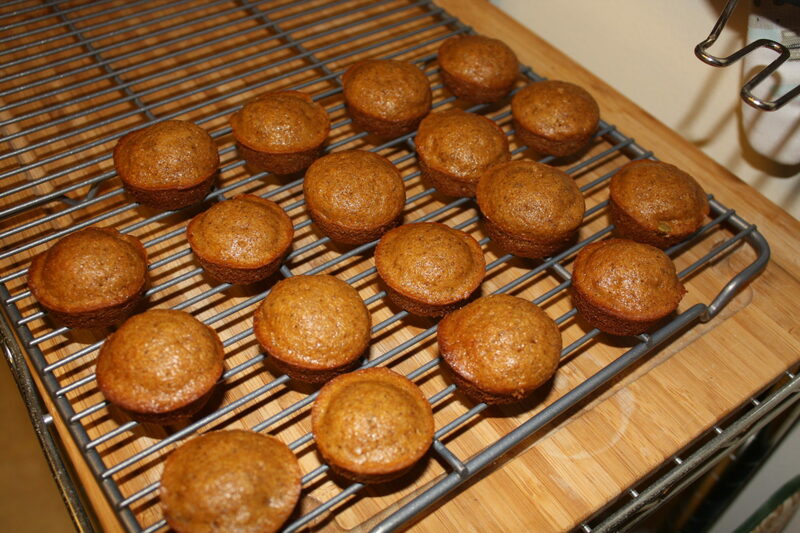 I realized that I could easily use the Trader Joe’s Pumpkin Bread & Muffin Mix to recreate these pumpkin muffins at home. 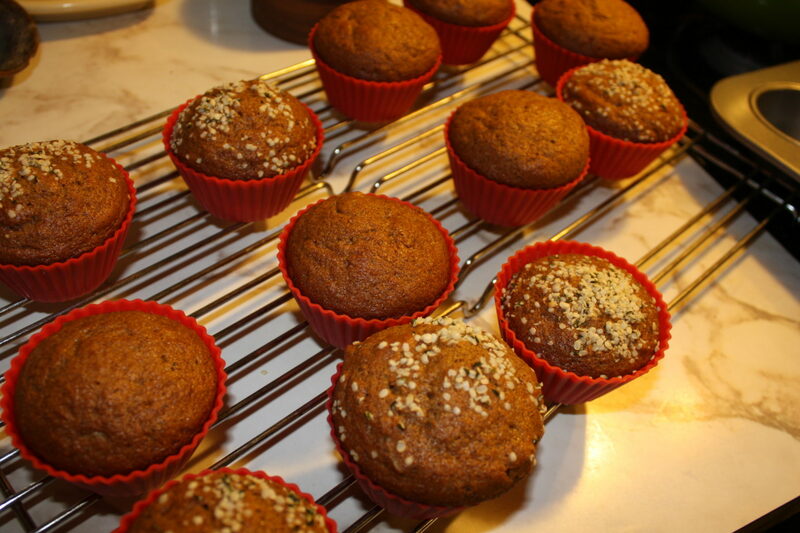 I added walnuts and pumpkin seeds to make my muffins more similar to the 9 Bar ones. 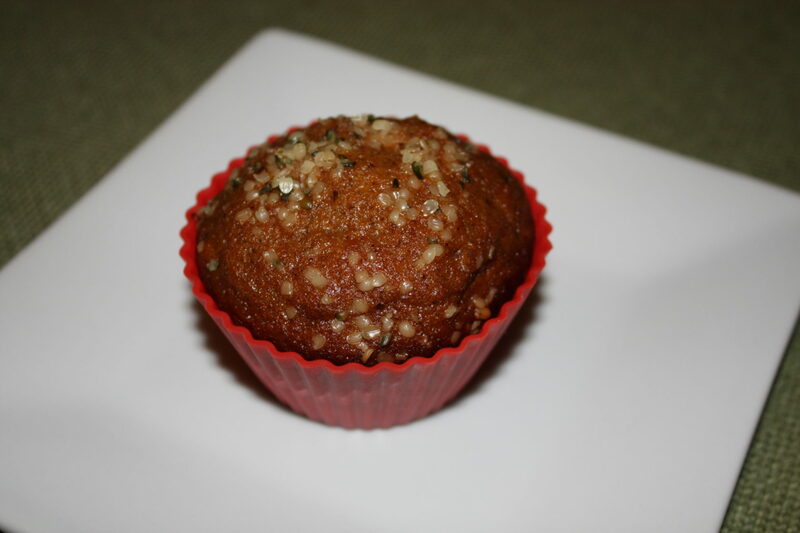 Both ingredients add a nice crunch and great flavor to the muffins. In order to lighten up the recipe, I replaced some oil with fat free Greek yogurt. This simple swap saves on fat and calories and you can’t even taste the difference. I also added some flaxseed meal for a bit of a nutrient and fiber boost. 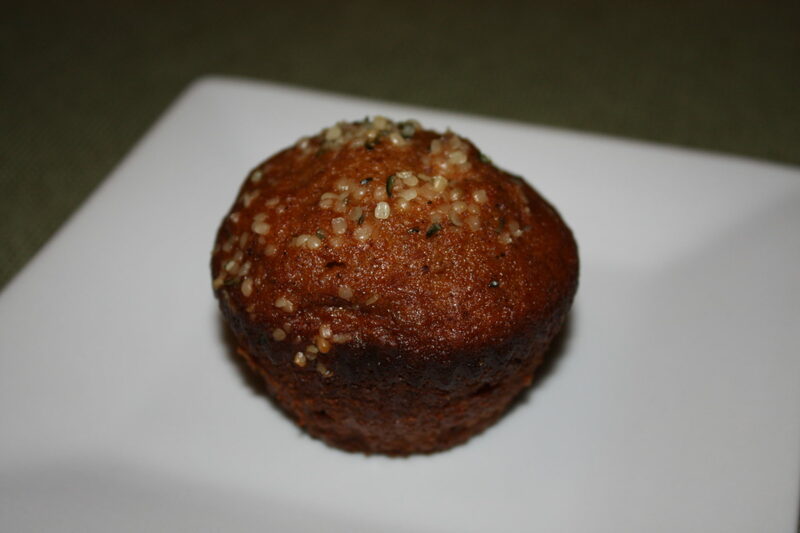 Finally, I topped half of my muffins with some raw shelled hemp hearts for even more nutrition and some visual interest. This recipe is great for those of you who might be short on time during this fall baking season. 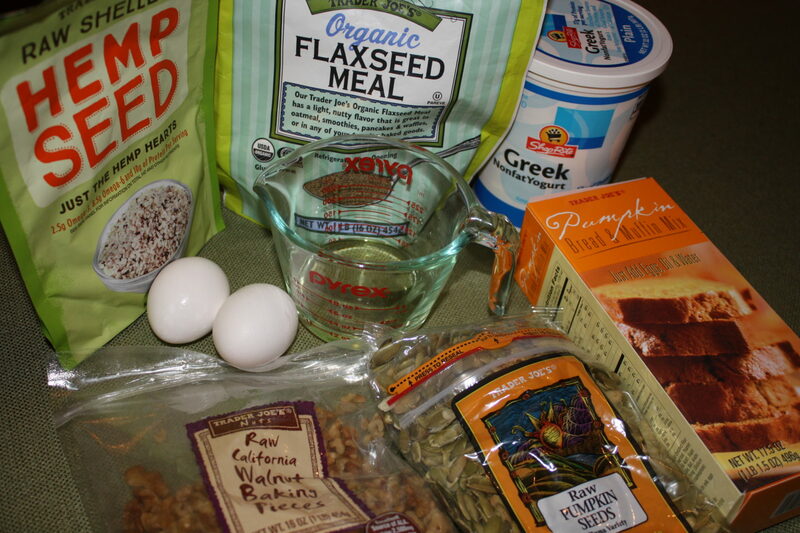 You can use similar substitutions and additions for any of your favorite premade baking mixes. Enjoy! 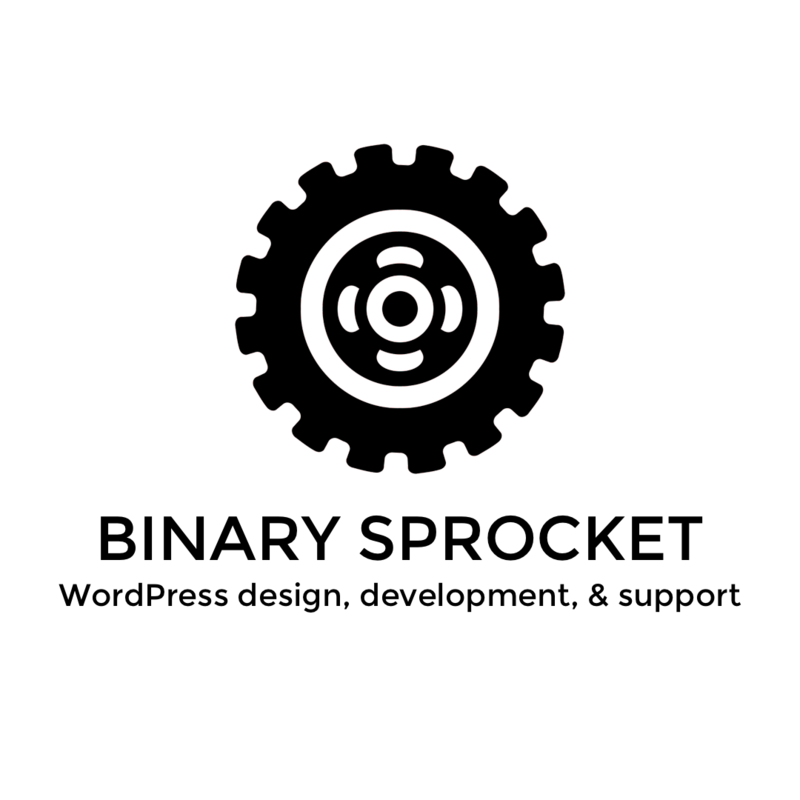 ¼-⅓ cup chopped walnuts–I used walnut baking pieces so they were already chopped. I put ¼ cup, but if you want extra I think ⅓ cup would be great. 1. Preheat oven to 400 degrees. 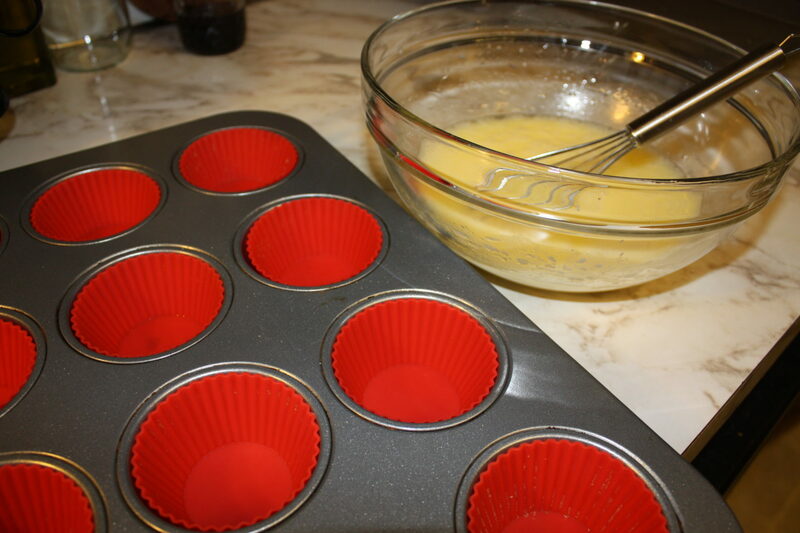 Prepare a muffin pan with paper liners or reusable ones. 2. 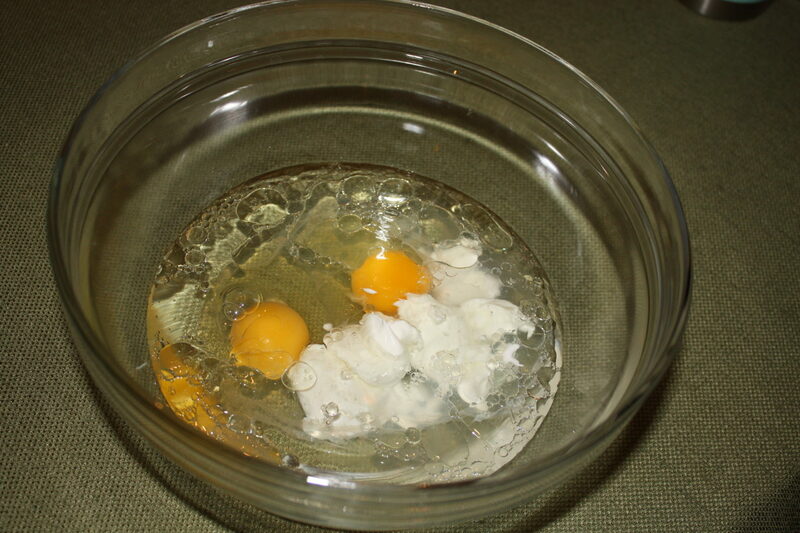 In a medium bowl, combine eggs, oil, yogurt, and water. 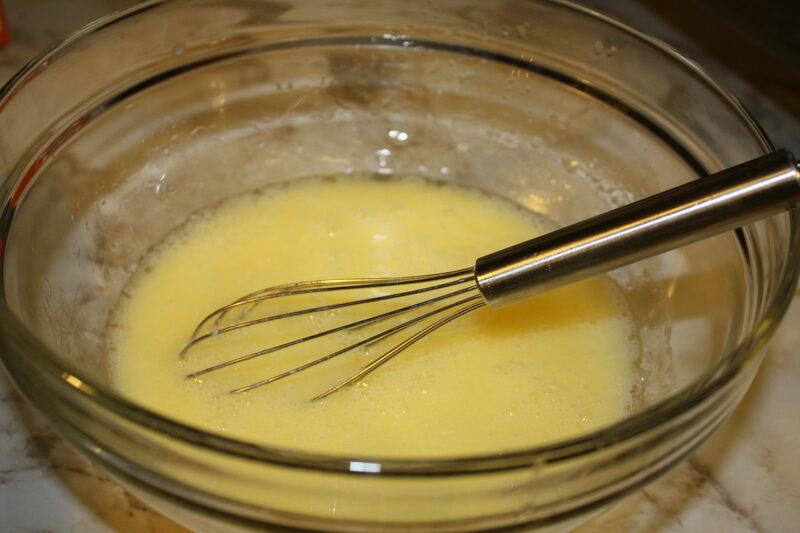 Whisk to fully combine. 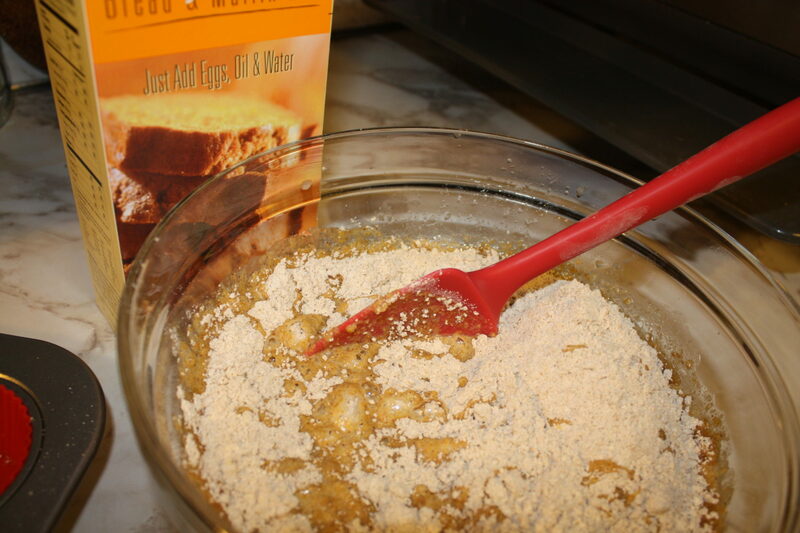 3) Add muffin mix and stir gently with a rubber spatula until combined. 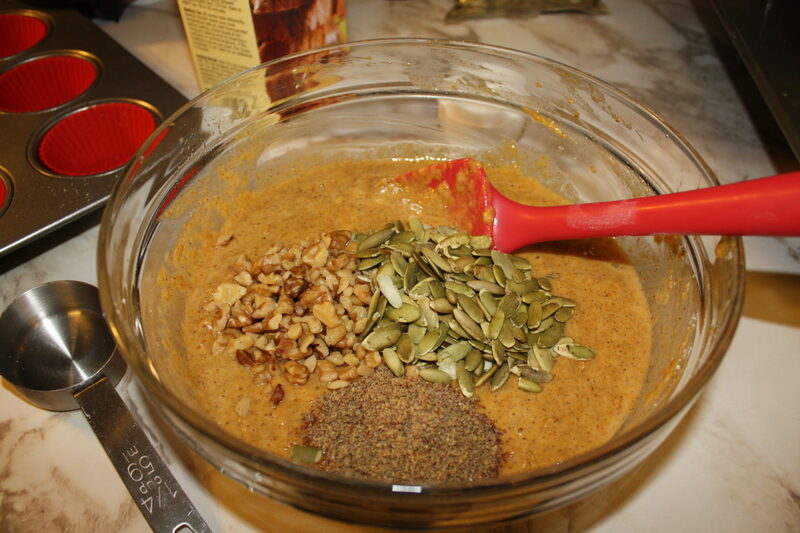 4) Add flaxseed meal, walnuts, and pumpkin seeds. Stir gently until combined. 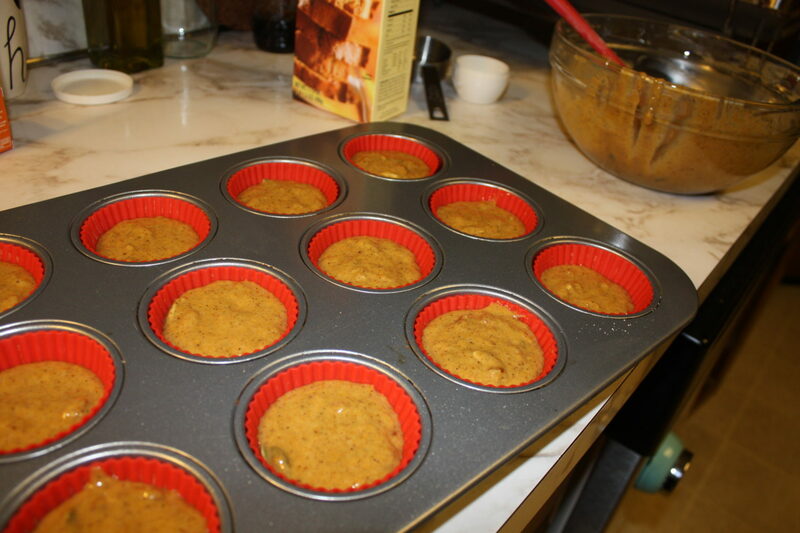 5) Fill muffin cups ⅔-¾ full. 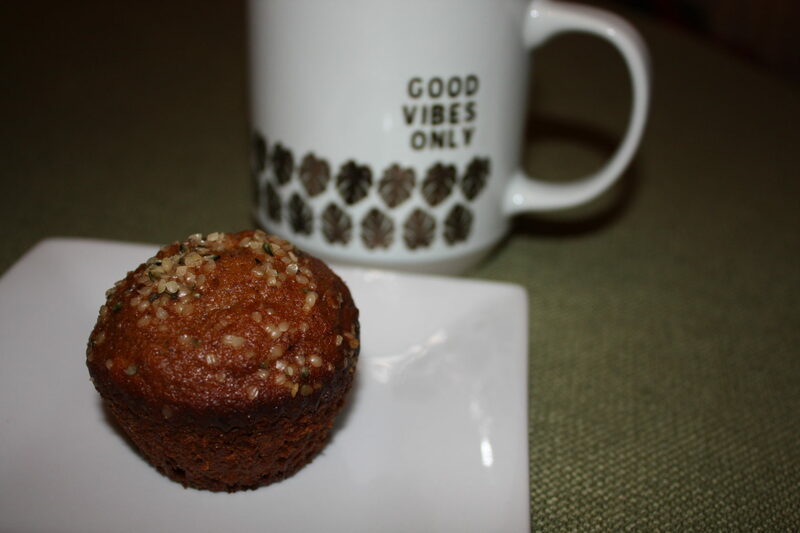 If desired, sprinkle each muffin with ¼ tsp hemp seeds. You may have some muffin batter left over. 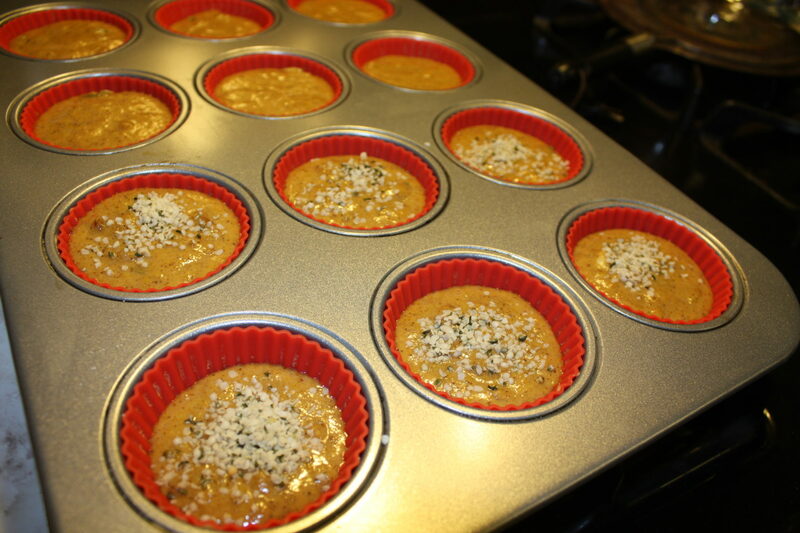 You can make extra muffins, or use a mini muffin pan to make some mini ones like I did. 6) Bake for 18-20 minutes. 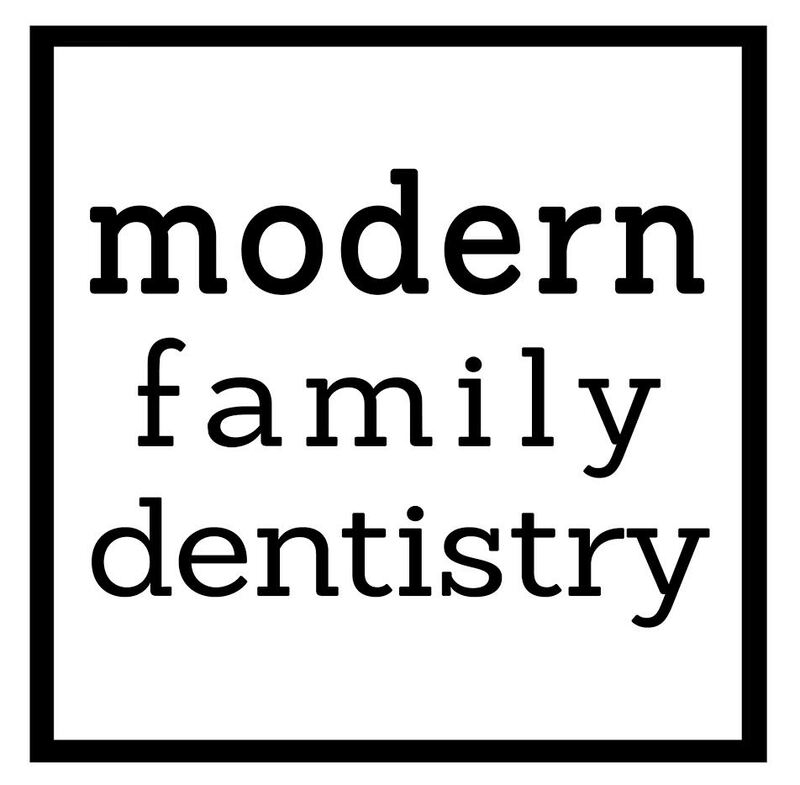 You can check for doneness by inserting a toothpick into the center of a muffin. It should come out clean or just with a couple of dry crumbs.